This Dump and Bake Chicken Taco Casserole is an easy dinner recipe that bakes in one dish -- with almost no prep work! 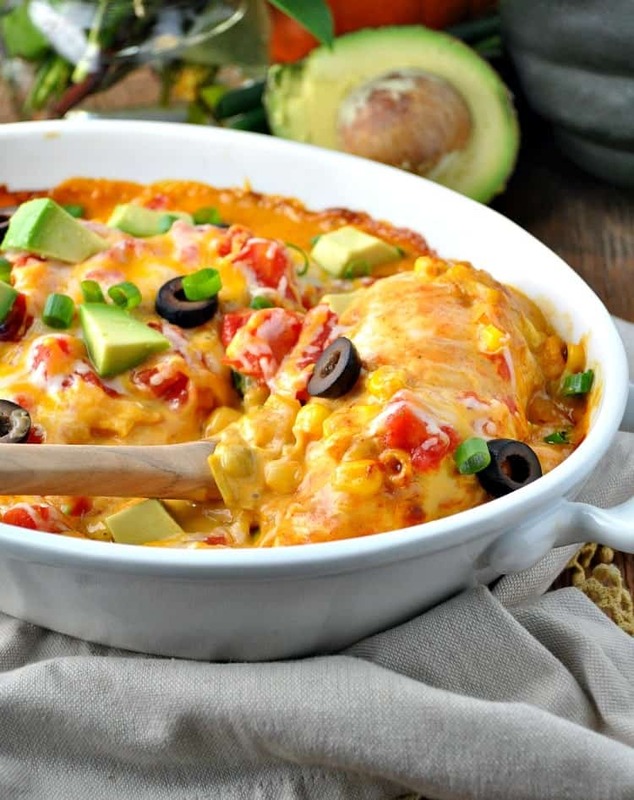 Get a family-friendly dinner on the table fast with this Dump-and-Bake Chicken Taco Casserole! Since there’s no prep work involved, you can serve an easy one dish meal to your hungry family on even your busiest weeknights…and clean-up is a breeze! Preheat oven to 400 degrees F. Spray a 13-by-9-inch casserole dish with cooking spray. Place broken tortilla chips in the bottom of prepared dish. Top with chicken, green chilies, and frozen corn. Sprinkle with taco seasoning. In a small bowl, whisk together condensed soup and milk to form a cheese sauce. Spread sauce evenly over top of casserole. Remove foil, sprinkle with tomatoes and shredded cheese, and return to oven (uncovered) for approximately 10-20 more minutes (or until chicken is cooked through and cheese is melted). The total cooking time will vary, depending on the thickness of your meat. Garnish with desired toppings and serve! 0 Response to "DUMP AND BAKE CHICKEN TACO CASSEROLE"